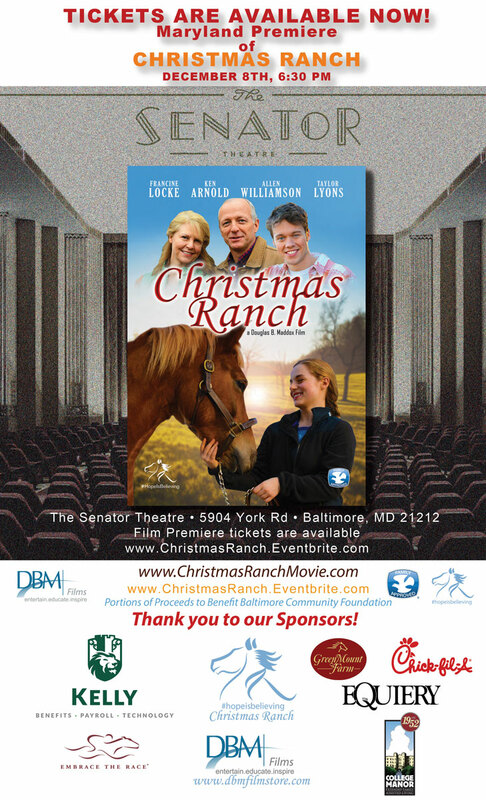 The Christmas Ranch Premiere December 8th at the Senator Theatre! Kelly Associates Insurance Group, DBMFilmStore.com, The Equiery, Chick-fil-A, College Manor Extended Family Living, EMBRACE THE RACE and Greenmount Farms! Synopsis: Just in time for Christmas — a feel-good film about hope and second chances! The story is about a strong-willed girl who is sent to stay with her grandmother on her horse ranch for Christmas. She begins to care for her grandmother’s pony and becomes determined to help save the ranch from foreclosure. 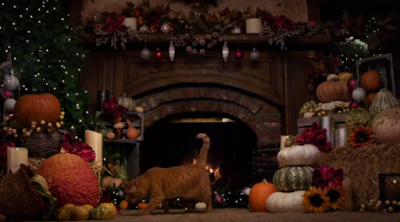 Loved seeing the Hallmark Happy Yule Log TV over the Thanksgiving Holiday. Happy the Cat, and Happy the Dog, along with Holiday music, graced our living room again this year. In may ways, was relaxing and enjoyable. If you love cats and dogs, this link is for you! Trump/Pence: Making America GREAT Again! Thank you America! America has spoken, and Liberalism and Socialism has been rejected, hands down. Hillary Clinton an her extension of Obama's politics, has been flatly denied. The left is out there crying, protesting (yes protesting a valid election, get a job would ya), and their lives are in utter chaos. I can say that payback is something to marvel. The Libs and Democrats have lost it all. They lost the Presidency, the House, the Senate, and now will lose the capability to insert Liberal judges. They lost many races for governorship, local legislatures in some 30 states. Notice the message, this was an election based on idealism, and a rejection of the liberal media machine touting diversity in place of exceptionalism, hard work, and traditional values. Make no mistake, now is not the time to cave, and reach across the isle. Now President Trump must follow through on his campaign promises to stab liberalism at its heart. The message is clear. 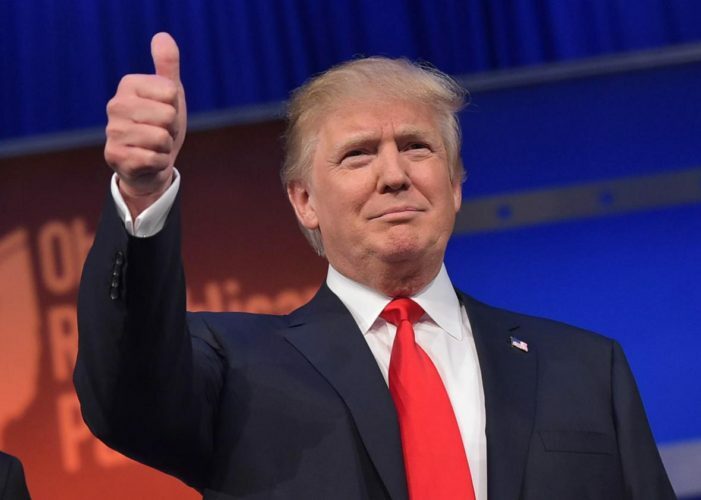 Liberalism and Socialism has been rejected, and we have placed at the helm someone who doesn't owe Washington DC a thing, but he does owe the American people, that is for sure. Thank you America! Real Education, What is Democratic Socialism? One great video on just what Democratic Socialism really is. Stunning that I see friends from the past claim how great Socialism is, and how terrible our current system is. They can only claim this on the backs of the Capitalists. Socialists, TRUE Socialist regimes would have killed them by now, if they criticized the current Socialist regime. This is a very well done video short. Suspenseful, interesting, and worth checking out. Very interesting, sadly I don't think we will see major change in the short term. The waste will continue as long as these issues continue. Elitist liberal politics compared to Star Trek! Happy 50th! This is a fantastic insightful video of elitist liberal politics, as compared to Star Trek. Happy 50th trek fans! In the tradition of the Classic Trek series, Star Trek Continues, has delivered a fantastic story, with great characters. Well worth a view. Enjoy! Fantastic work on an assembly line of Hulks made to be award trophies. techniques on 11 identical trophies! This message outlines the truth in political systems. Consider this, more and more people are less independent than they used to be. This explains why, and hints as to why this is terrible for the World. Wow, I knew the answer, but did not know the additional details on how an electric car will create even more CO2 than conventional cars! Stunning. I did already know one thing the author does not tell us, that the Politicians get huge kickbacks from the deadly batter making companies, strip mining operations to mine for the battery components, and HUGE investments into their campaigns from these so called GREEN industries. batteries are the bane of our existence, poison, and deadly objects. And we use they up in everything now. It will be way too late to clean our water from the battery pollutants once we figure this all out! See the TRUTH behind the false statement that 97% of Scientists agree that climate change is real. This is a must see, especially for those who insist that humans are destroying the planet, and whether humans should step back into the dark ages based on statements that rich elite people insist we should. When one analyzes the statements, the truth is released. These very experts touting these statements have no intention of cutting or trimming their lifestyle. Those people have stocks and investments in the GREEN industry, and are making HUGE money! Don't be duped! Ask 2 questions, what do they agree on, and how did they prove it? This is pretty creative, and the Screen Team has some serious moves. Great Fun. Peppermint OS 7 Released, great alternative to Windows/Mac OS. Peppermint OS has been released, which is a new Linux based Ubuntu release. Looks promising, and worth a test drive. See for yourself! Take a look at how the shifter works in a 2014 Jeep Grand Cherokee. See why this poor design could cause death or a serious accident. TFL Car does a comparison against a similar new shifter in a Dodge Challenger, which works correctly in intuitively. These are some great kitty cat cartoons/videos. Very creative and entertaining. Great work! This is nice, looks like a cute reboot of the Saturday morning classic Sid & Marty Krofft Original. Trump's claim that Mexico would pay for the wall may be coming true! Essentially, Trump's promise to build a wall and end illegal immigration has caused a rush for the border that is crippling Mexico's resources. Mexico can either let undocumented migrants enter their country willy nilly en route to the US, or they can take strong action to stem the tide of immigration for their own benefit. Which would be best accomplished by building a wall, either literally, or through a strict enforcement policy. All of a sudden, Trump's absurd claim that Mexico would pay for the wall doesn't sound so absurd. Chevrolet takes aim at the aluminum Ford F-150, and doesn't look good for Ford! I wondered how long it would take to call the F-150 a soda can. Worth considering, and I have owned Ford and Dodge, never a Chervrolet. Might be time to consider for the next truck I own! 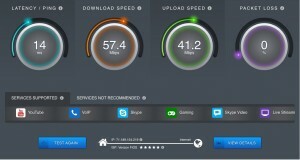 Very nice comprehensive internet speed tester from SourceForge (King of Freeware). Is run from your web browser, uses HTML5, so any modern browser should work. Shows service suggestions, like which internet services you can and shouldn't be using. Netflix, Skype, etc are among the lists. It has a top down overall view of the results, and a more detailed view for those techie nerds like myself who want to understand more in detail what was really tested. Coming to a showroom near you, the NEW Bandit Trans Am! Wonderful! UCLA Professor of Economics, Lee Ohanian, asks the age old question, of do the "Rich" pay their fair share of taxes? The truthful answer will shock many, and will directly contrast what we hear in the media! Profits And Why They ARE Good Things! Professor Walter Williams discusses why Profits drive luxuries that we enjoy today, why what would happen if Profits were not attainable. This quick economics lesson is the foundation of everything we enjoy today in the United States, and should be encouraged, but why? Monday Night RAW is coming to the Baltimore Arena, Monday 23rd. 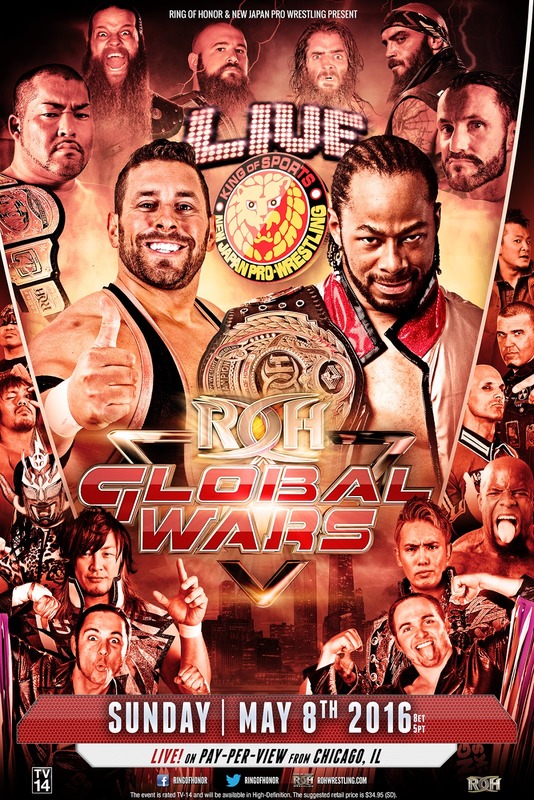 Colt Cabana Returns to ROH Tonight vs Jay Lethal! May 8th! 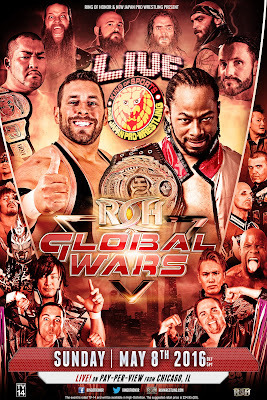 May 8th, Colt Cabana returns to his home, Ring of Honor. He will take on Jay Lethal for the World Heavyweight Championship. Available on PPV, a must see for Colt fans! Concept Jeep Renegade, Awesome Small Truck! 4X4 Capable! This is a very nice small concept Truck, the Jeep Comanche! Based on the Renegade. This is really something nice! Watch TFL take it out for a spin. 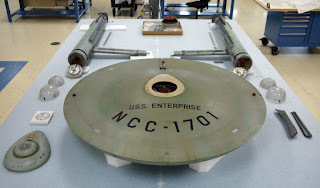 The Classic Enterprise in all its glory, taken apart for analysis and testing. This effort in place to ensure this piece of history is preserved forever. A very nice high res version accompanies the article!